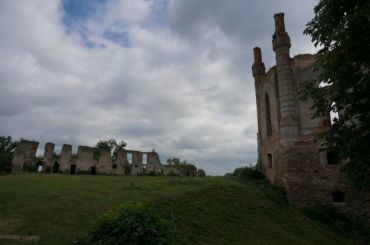 Ostroh Castle, Ukraine: photos, description, on the map. 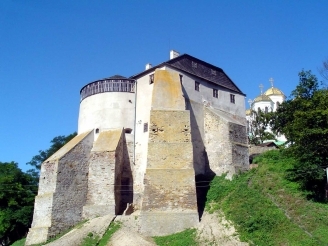 A glorious historical city Ostroh is a place where a real gem of ancient art Ostroh Castle is located. 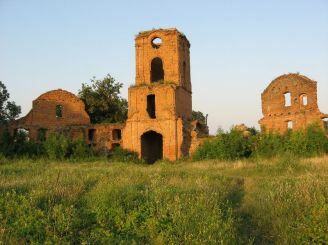 It was built on the top of the high hill by the order of Prince Danylo Ostroz’kyi. This castle has become a residence of the Ostroz’kyi’s. They were one of the richest and the most powerful magnates in Ukraine. The last representative of the family Vasyl’ Ostroz’kyi has built in Ostroh Greek-Slavic school, which is known as Ostroh Academy now. A printing house was established under this school, where famous printer Ivan Fedorov worked. First printing houses in Ukraine were found by him and were of a great cultural and educational value for the Ukrainians. The Ostroh Bible and the first grammar textbook for primary school “Bukvar” published by him are real masterpieces of printing art of those times. In the 14th-15th centuries Ostroh became a powerful cultural, educational and scientific center of East Europe. Ostroh Castle is one of the most favourite places of tourists now. 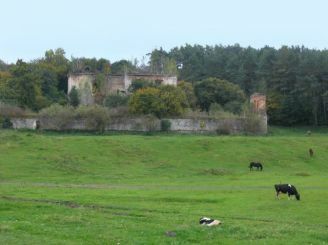 Its locations was quite good – two sides of the building overlooked a steep descent and the other two were separated from the city with a moat. Architectural complex of the castle consists of an old Murovana Tower, a New Tower, Epiphany Cathedral and a belfry. Murovana Tower is the oldest building of the castle complex. It was used for defence and living at the same time. Understory was a place where food and water were preserved. Next to this place there was a well. According to the legend, it had secret passages. When you come closer to this tower, you’ll be impressed with its strong thick and unbreakable walls. Stonework is eternal! The 2nd floor rooms are cozy and welcoming; this is in contrast to the austere style of the rest of the castle. You’ll see a prince’s room, furniture, a great table, including a unique collection of icons of 15th-18th centuries. Epiphany Cathedral is located in the north part of Zamkova Hill where castle is located. It was built in the 15th century by Vasyl Ostroz’kyi. It was a part of castle’s defence system, that’s why its thickness was about 3 meters. Down the cathedral you might notice loopholes, and looking up you would see a wide ledge for guards. The third remarkable sight – Nova Tower simply shouldn’t be missed by you. It sometimes is called Kruhla Tower, in Ukrainian meaning circled. It has got three storeys; on the third one you might see loophole’s lines. The highest storey is decorated with patterned merlons in Ukrainian Renaissance style. On the territory of Ostroh Castle there is the Local History Museum, which will impress you with its numerous interesting exhibits. Noble Volynian city Ostroh invites you to feel spirit of ancient times and beauty of medieval stronghold. На предложение отметить Новый Год на Ровенщине многие скажут - «Да там же нет ничего интересного!» Но скажет так только тот, кто там никогда не был. Польские короли и российские императоры, украинские гетьманы и австрийские цесари - в прошлом - постоянные посетители этих мест!